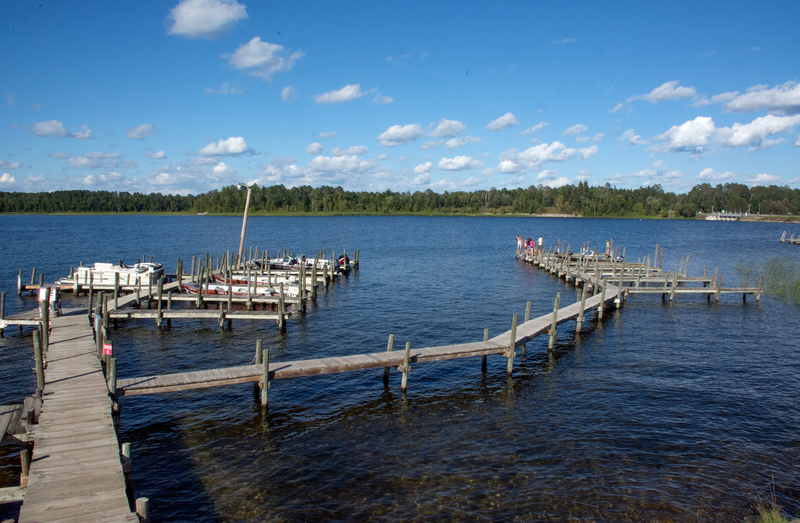 When it comes to the best walleye fishing in Minnesota, few lakes enjoy the great reputation Lake Winnibigoshish has as Minnesota's premier world-class walleye fishing lake. Lake Winnie offers great structure and has large numbers of Walleye, Northern Pike, Largemouth Bass, Muskie, Crappie, Jumbo Perch and panfish. It is also the home of the state record Muskie. At The Pines Resort we provide all the things you need to bring home fish for dinner during your stay here. We offer boat and motor rental, a concrete boat launching ramp, live bait, tackle, gas, oil and individual boat slips. We can also arrange for guide service by some of the area's top professional fishing guides. The fishing pros will tell you that Winnibigoshish is truly an anglers paradise famous for walleyes, perch, northerns and muskie. Work the rocks with bottom bouncers or live bait rigs on the shallow sand bars and reefs. Follow the weedlines or fish the deep water structures where the big walleye feed. No matter where you go on "Winnie" you will find a walleye dinner just waiting to be caught. Lake Winnibigoshish also has some of the best winter perch fishing in the world, along with great winter walleye & northern pike too! Click here for more Ice Fishing information. 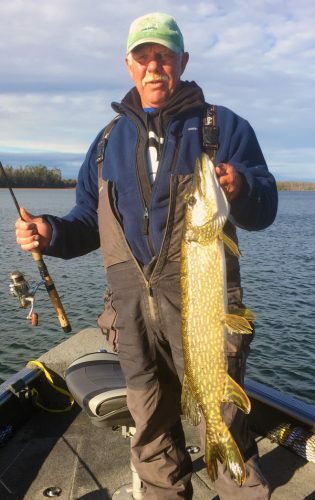 Minnesota Fishing Guide Lyle Unger of Grand Rapids Guide Service offers full and half day guided fishing trips on Minnesota's northcentral lakes and rivers. Experience the difference a knowledgeable, skilled and personable professional fishing guide makes when it comes to putting you on the walleye, northern pike, bass, crappie, bluegill, perch, muskie, lake trout or even sturgeon. Minnesota Fishing Guides - Royal Guide Service in Grand Rapids, MN, provides guided fishing trips on the lakes and rivers of northern Minnesota. Roy is a Coast Guard Licensed Captain with more than 15 years professional guiding experience. Roy takes great pride in being a knowledgeable and friendly guide that strives to make each fishing trip a great experience for everyone. Tom Neustrom - Full-service Minnesota Fishing Guide and Freshwater Fishing Hall of Fame Legendary Guide.